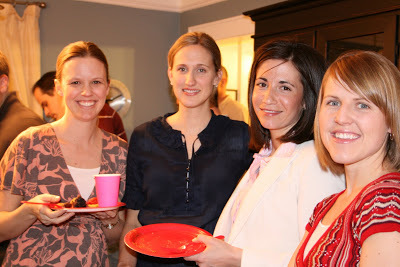 This weekend Seth and I hosted a chocolate dessert Valentine party for an intimate gathering of friends–couples only (except wee-little babies were acceptable). 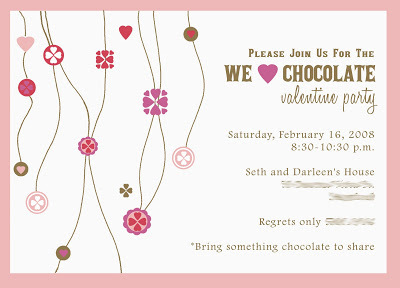 Each couple was requested to bring something chocolate to the party. 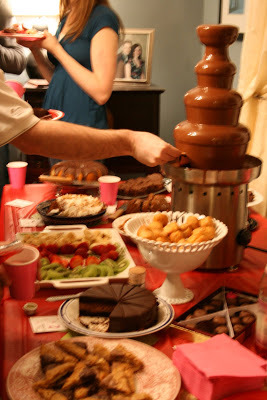 With all the chocolate desserts and a chocolate fountain that we provided, there was a lot of chocolate! But all the desserts were different and unique and of course…yummy. 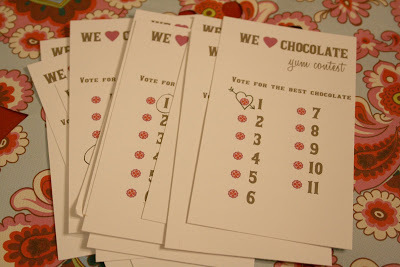 During the party we requested each person vote for their favorite chocolate dessert. 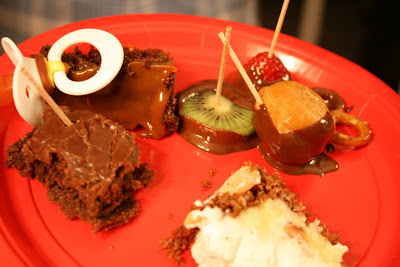 The winner made a chocolate coconut cream pie (to die for), and won a box of exotic truffles. In addition to the chocolate and to go along with the Valentine theme, we played a hilarious game of “The Married Questionnaire Game“–thanks to my sister-in-law Stephanie for helping me come up with all the great questions. There were lots and lots of laughs. It was a riot having each couple answer the put-you-on-the-spot questions. 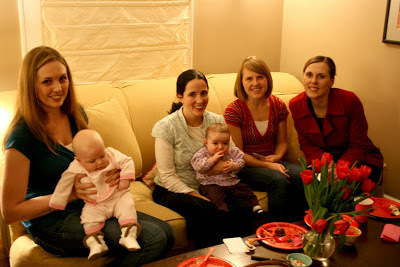 We had two couple winners–one couple who was married the longest in the group and another couple who was married the shortest time in the group. The winning prizes were “Truth, Dare or Chocolate” game (complete with body frosting) and “I like it Spicy Blindfold Chocolate” game. Perfect for Valentine’s. 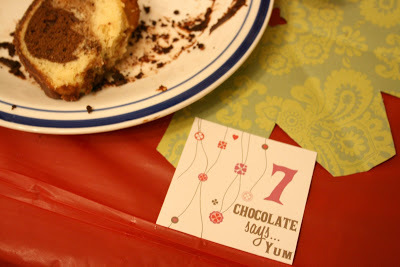 For party favors, each couple was given a pastry box to fill with remaining chocolate. We had so much fun that we now want to make it an annual event. 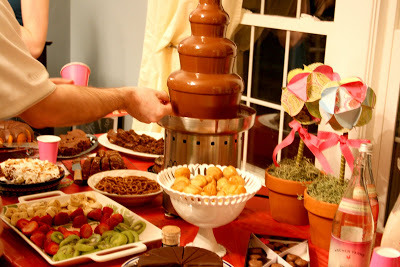 Oh, and I must say thank you, thank you to the party-girl herself Natalie for letting me use her chocolate-theme idea. She threw a chocolate party last summer and told me all the fun things they did. Thanks Nat! Decorations: paper topiaries and hanging paper kissing ball, paper flower doilies for table top, fresh red tulips. A few of the guests. I’m so bad at taking pictures at parties. No problem getting the decorations; huge problem capturing the actual event. But here are a few. 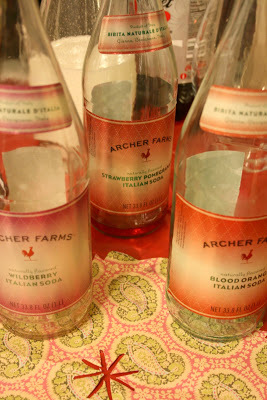 The post Chocolate Valentine Party appeared first on Darling Darleen | A Lifestyle Design Blog .